Headphones are a major pain point for music and podcast lovers. 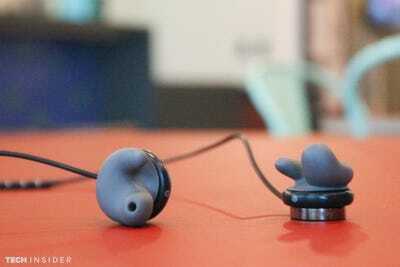 Traditional headphones are clunky, while earbuds fall out and can’t seem to stay untangled. 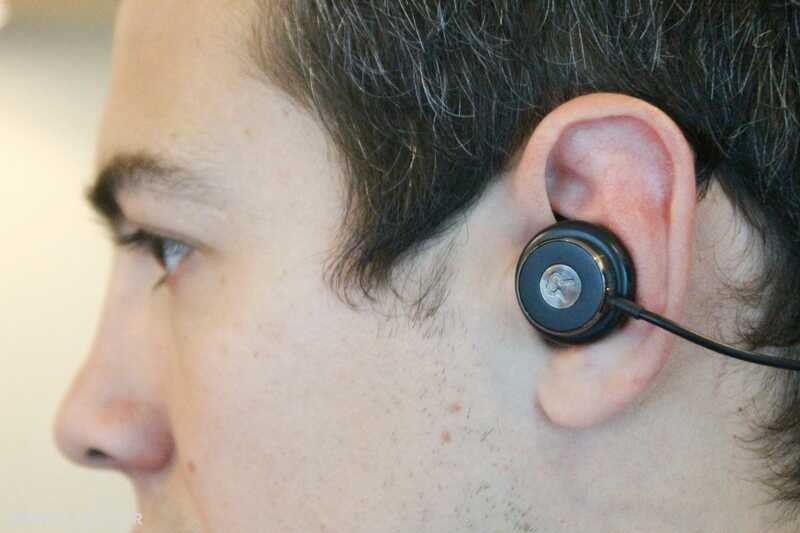 But a new kind of earbuds might just fit better than other headphones. That’s because they’re custom fit to your ears. Revols, created by a startup called Revol Technologies, arrive as squishy, gel-like blobs on the ends of a cable that wraps around the back of the neck. The user places them in their ears and opens an accompanying phone app to start a mechanical process that hardens the buds into place. In 60 seconds, a personalised pair is born. Blumer and his cofounder (and best friend), Navi Cohen, set out in 2014 to develop personalised headphones that users could mould at home. Their Kickstarter campaign raised over $2.5 million, becoming the most successful crowdfunding campaign in Canada ever — proof they weren’t the only ones desperate for more comfortable earbuds. 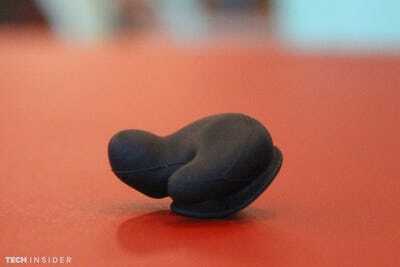 Melia Robinson/Tech InsiderMy custom-fit Revols earbud. The earbuds didn’t look that different from their original state. Blumer says the changes are incredibly nuanced. The company claims Revols deliver sound “the way it’s supposed to be heard,” Blumer says. Because the earbuds fill the ear canal and all its crevices, there’s no room for music to escape the ears or ambient noise to enter. The user can, however, adjust settings on their smartphone to mix in sound from the environment, such as passing cars and people. Melia Robinson/Tech InsiderDaniel Blumer fits the Revols with red skins. 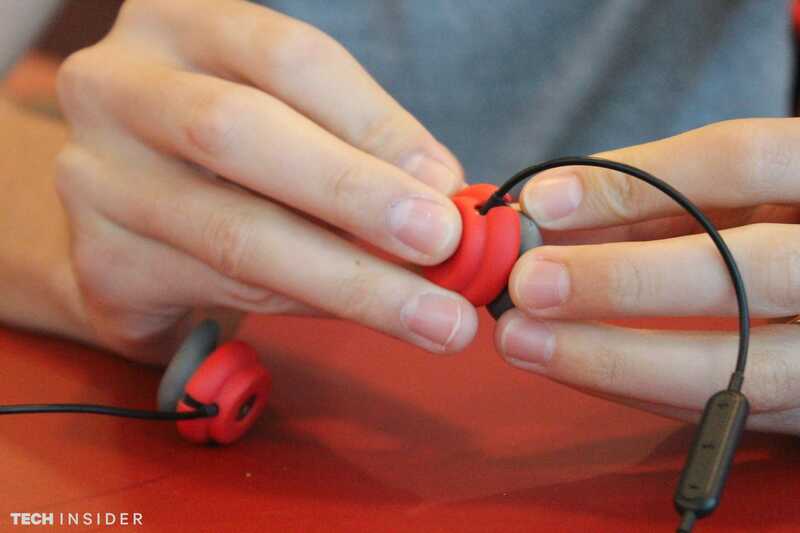 Revols aren’t the first personalised earbuds to hit the market. But other companies in the space charge as much as $1,000 for a pair, and some require you to visit an audiologist for a fitting. When Revols arrives in stores later this year, they will set audiophiles back $249 per pair. The cost includes one set of custom earphones, a carrying case, and a set of skins that can be worn over the microphone.